So while we were in California doing the Disneyland thing this summer, we went to a Ranch 99 and I got this. Never seen anything quite like it before; a fresh noodle bag, Chinese, and said it was enough for six people! I guess it’s time to give it a shot. 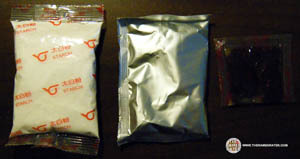 Whoa – not expected… Starch, seasoning packet and soup base packet. 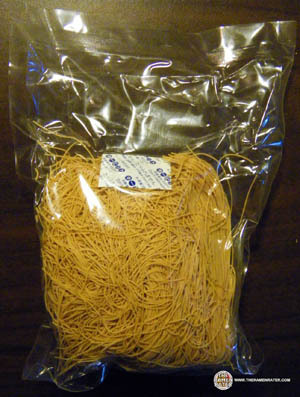 Here are the noodles in their own pouch – very large I might add – and a a tasty little packet of desiccant. No really – don’t eat the desiccant. Click image to enlarge. Sweet mother of god. Okay so I don’t like this at all. This is getting a 0.0 out of 5.0 stars. Very salty and funky. A big ‘not for this reviewer’ stamp! The starch created little gummy entities in it too! Ugh no no no. 0.0 out of 5.0 stars. How weird; my wife got pineapple cake at the asian grocery earlier – a different brand though. The old noodle timer! I’ll be making a 500th review noodle timer sometime soon! Yep – even more images flashing atcha faster and new music too. This entry was posted in * Stars 0 - 1.0, Hsin Tung Yang, Seafood, Taiwan and tagged china, edmonds, hans lienesch, hsin tung yang, liebesch, lienesch, northwest, oyster flavor, oyster flavour, Ramen, ramen blog, ramen blogger, ramen rater, ramen review, ramen reviewer, ramen reviewers, ramen reviews, ramen video, ramenrater, ramenrater.com, ramenreview, rater, rating, ratings, review, reviews, seattle, taiwan, the, the ramen rater, tiny noodle, washington, west coast on September 6, 2011 by Hans "The Ramen Rater" Lienesch. You made it wrong. Looking at the picture, there obviously wasn’t enough water. Also, you have to add the starch little by little, or else it will clump up. Or you could just omit it altogether. It’s too bad too – was really hoping this would be a winner. well…maybe the water amount was their fault, but it’s common knowledge that starch can’t just be dumped into soup, it has to be added slowly amidst stirring to avoid clumping. it acts as a soup thickener. Yes I know that; that’s why I added it slowly before the noodles. Yet it still clumped. I just went by the directions on the package. This one gets 0.0 out of 5.0 stars. The flavor would’ve been crappy if it’d been a different consistency as well. The noodles were horrendous as well. You did it wrong, you are supposed to snort the desiccant, wait til the hallucinations start, THEN start the cooking process. It makes everything WAY more interesting. Too bad. To me that LOOKS like a tasty bowl of noodles. 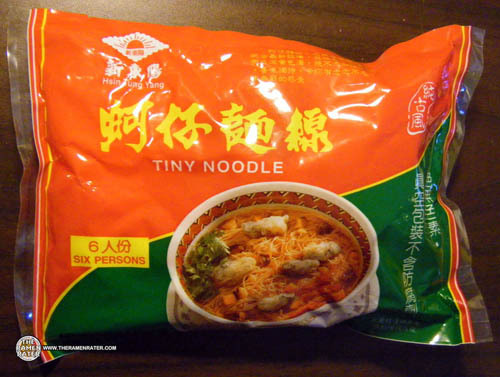 Damn, imagine like a huge 6 serving size of endless delicious noodles like that. Not the 45g little rice noodle pouches but an ENDLESS BOWL. Awesome video, by the way! My suggestion is that in the next one, consider only showing the finished result instead of the packets and make the images slower.. because the more images you have, the faster you gotta make the video and the less you can actually see in detail. I wanna see the noodles! 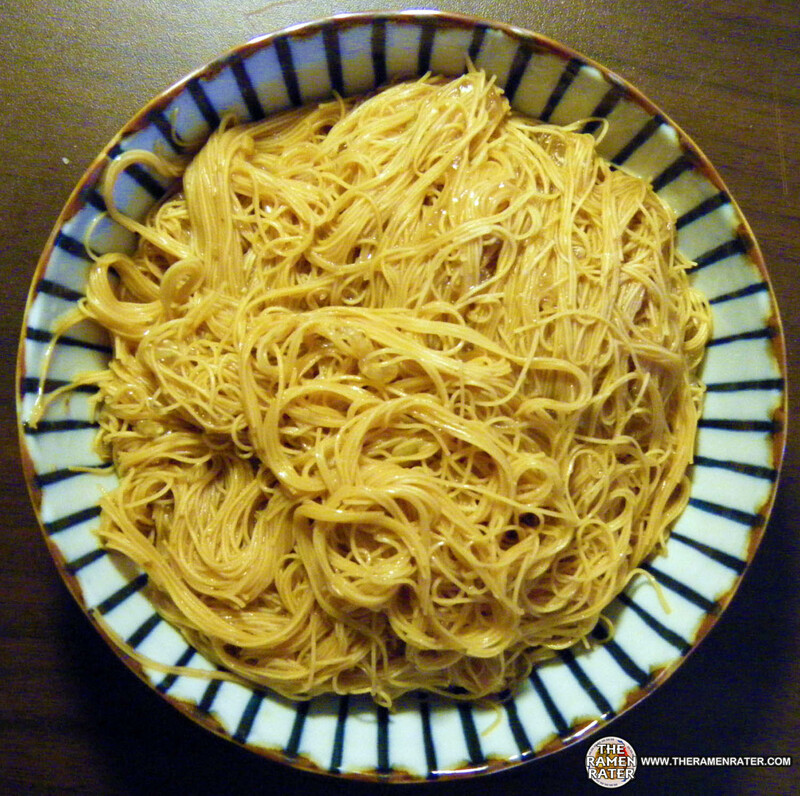 Since you’ve been having ramen every day for so long, do you ever get bored? There is actually quite a lot of variety in flavors and such but its still noodle soup no matter how you slice it. I for one am a creature of habit and often eat the same 3 meals a day and never get sick of it, I still look forward to my classic meals. For the past few months ramen has been one of em! But I dunno if I could have the restraint to eat a new ramen every day, I cant resist going back and eating the ones I know I like. I gotta force myself to try something new. Nope I never get tired of it! I really enjoy eating instant noodles and finding the different flavors within each one. It’s a lot of fun!